TORONTO, ON – At a media/VIP event at the Duke of Westminster pub in Toronto last week, a unique new brew called Milos Beer was served for the first time in Canada. Described as using “Czech ingredients, Czech recipes, Czech technology”, Milos Beer is a pilsner created by brewmaster Milos Hrabak that is brewed using a proprietary process in which the ingredients are specially prepared in Prague before being sent out to partner breweries around the world for brewing to be completed. In Ontario, the partner is Great Lakes Brewery. 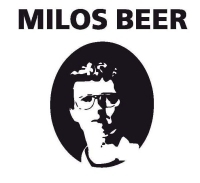 Milos Beer is currently available only as part of a limited preview launch at the six establishments in the Duke Pubs chain, where it will be available on tap for the next few weeks. A province-wide release is planned to follow in 2011.